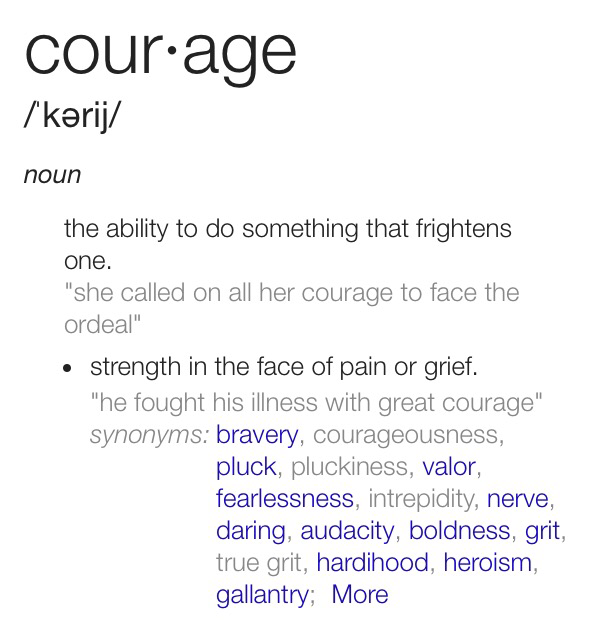 I believe right now in American history is an important time to explore what courage means to us on a very personal level. I’m working on a mission statement for myself, a courage mantra in succinct language I’ll be able to summon when needed. I’ve scribbled and doodled and drawn circles and arrows, however, I don’t quite have it yet. I’ll let you know when I do. I would be curious to know if you have a statement of this nature that you would be willing to share. I hope you have a uniquely courageous day. I am finding myself at a major crossroads in my life and I’m actively searching for a needed change. I am 47. My son is leaving for college this fall and my twin daughters are starting high school. My husband has changed his life dramatically and he is doing work that is both meaningful and engaging. I usually define myself as an artist, but the path has been pretty rudderless this last year. I’m taking some time—trying to gain a better understanding of how my talents can be best utilized. I want to use my powers for good (rarely for evil). I don’t mind the search. The process is a little painful, but never dull. It will be interesting to see what is revealed (or not) in the future. I would love to hear your stories of life’s transitions if you’re interested in sharing.